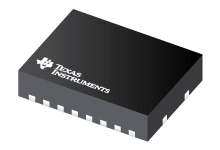 TPS40170 is a full-featured, synchronous PWM buck controller that operates at an inputvoltage between 4.5 V and 60 V and is optimized for high-power density,high-reliability DC-DC converter applications. The controller implements voltage-mode control withinput voltage feed-forward compensation that enables instant response to input voltage change. Theswitching frequency is programmable from 100 kHz to 600 kHz. The TPS40170 has a complete set of system protection and monitoring features such asprogrammable undervoltage lockout (UVLO), programmable overcurrent protection (OCP) by sensing thelow-side FET, selectable short-circuit protection (SCP) by sensing the high-side FET and thermalshutdown. The ENABLE pin allows for system shutdown in a low-current (1 µA typical) mode. Thecontroller supports pre-biased output, provides an open-drain PGOOD signal, and has closed-loopsoft-start, output voltage tracking and adaptive dead-time control.